Today MultiBeast was updated to version 4.2 for Lion. 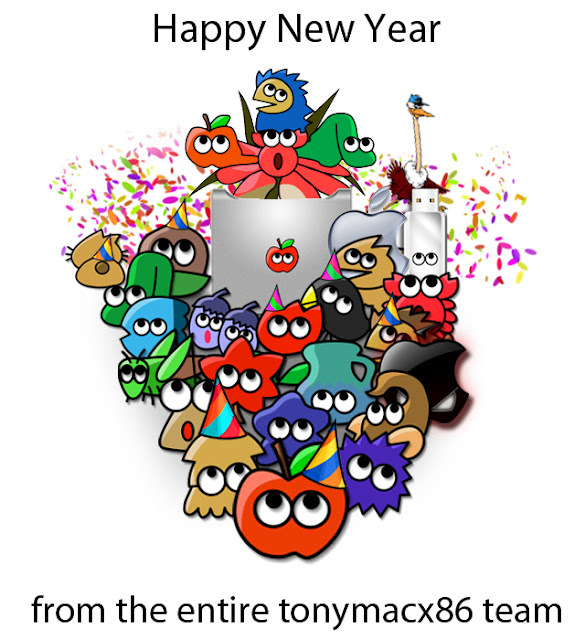 The latest version is now available at tonymacx86.com/downloads. If this utility has helped you, please consider a contribution to support further MultiBeast development. Thanks in advance, and enjoy! If you have Bug Reports or Feature Requests, please let us know in the MultiBeast section of the forum. Today MacMan updated Chimera to version 1.7. This version will be included in the next MultiBeast release. Added support for additional ATI video cards. Added support for additional NVIDIA video cards. Added additional cards to NVIDIA memory detection workaround. Added change to allow overriding ATI Null frame buffer. r1674 Improved Multi-drive boot support from dmazar. r1710 Fix for kernel flags not being passed to kernel on RAID volumes. NOTE: Proper drivers are required for full graphics support. There is a standalone installer, available at tonymacx86.com/downloads. 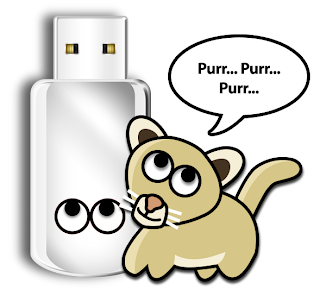 For bug reporting, feature requests, and general feedback please use the Chimera forum. People who know me know that I always recommend Apple laptops. I am convinced that they are the best laptops on the planet and worth every penny. However, a few weeks back, I picked up the HP Probook 4530s to review and monkey around with. This particular model has gathered a lot of steam on the forum, and considering the price ($475) and relative compatibility it seemed like a cool little project. Compared to building a custom desktop computer, hackintoshing a laptop is a dramatic undertaking, and can be a very painful process. It's not like building a computer from parts, choosing which compatible components you want or need. Only certain very specific models work well. Things like power management become more important because of the battery and using the lid to sleep the computer. For networking, having functional wifi is way more important than ethernet. And the keyboard and trackpad can be a nightmare. With the launch of Mac OS X Lion, Intel's onboard HD 3000 graphics, integrated into all Sandy Bridge mobile CPUs, became fully compatible. The only thing necessary to achieve full acceleration is a MacBook Pro 8,1 system definition. 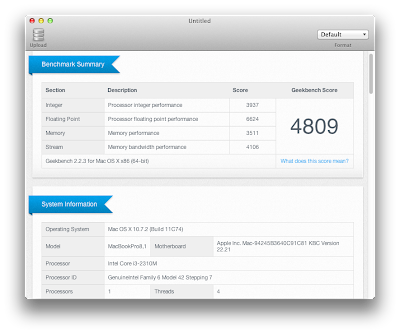 Therefore many more laptops now have functional Intel graphics, and are viable hackintosh candidates. There are a few major drawbacks to this particular model, especially when compared with a Mac laptop. First, the display, although they advertise it as an LED, it's dim, and needs some warmup time. Even though it has a 15.6" screen, it's native resolution is only 1366x768. Compare that with the 15" MacBook Pro or 13" MacBook Air that each sport a 1440x900 IPS display. Secondly the trackpad, although functional with two finger scrolling, doesn't have three and four finger gestures, scrolling with inertia, or bounceback. In Lion this is a huge deal and permeates the entire user experience. The good news is the HP Probook 4530s can also be used as a desktop replacement, making these two issues somewhat avoidable. The HDMI video/audio output works marvelously well, and with a USB mouse and keyboard, the laptop pretty much turns into a Mac mini. The main reason people buy PC laptops to hackintosh is because of the perceived cost savings. On the surface the lowest end Probook is an incredible deal. Unfortunately, once sacrifices are made in multiple areas, the user ends up with a substandard product both in quality and experience. If you can live with the limitations, the Probook is a viable alternative. Although I have had fun with the HP Probook project, I still don't recommend buying any laptop for Mac OS X besides a real Mac. You can usually find a considerably discounted Mac on Apple.com in the refurbished section. Amazon and Newegg also have great prices on older Mac models at the time of refreshes. Special thanks to the community of HP Probook 4530s users, especially bkribbs, Electronshaper, BigDonkey, Dewitts and masso912. 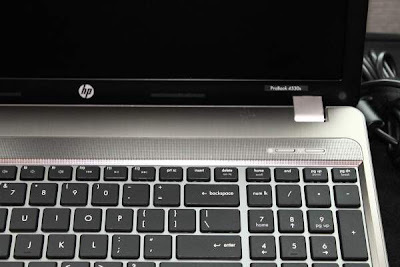 We've opened up a special subforum dedicated to the HP Probook 4530s complete with full installation guides and tools. It's incredible to see such dedication to a specialized project like this. Check it out! Let us know what other laptop models have worked for you! Check out this full video demo by Beelzebozo demonstrating the UniBeast method for installing Mac OS X Lion.